Default containerField='metadata' when providing information about the parent element itself, otherwise apply containerField='value' when this element contains payload metadata inside a parent/ancestor MetadataSet element. The metadata provided by this node is contained in the strings of the value field. 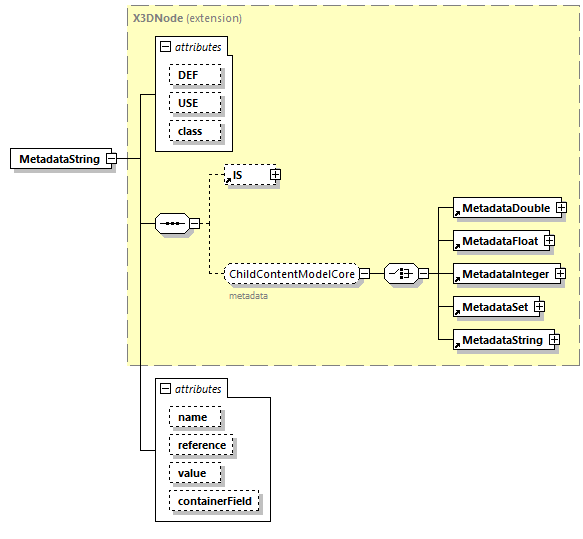 this node provides metadata information regarding its parent node. parent node is MetadataSet, this node is providing information as part of a MetadataSet collection.